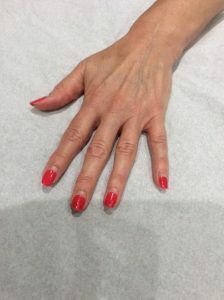 These Jessica Geleration nails lasted 5 weeks! Jessica Geleration will last you a minimum of 2 weeks. However Hannah’s client managed to get 5 weeks out of hers and they’re still immaculate!